From a fan standpoint, Super Bowl 52 was incredible. The 41-33 game had it all—trick plays, missed kicks, back-and-forth touchdowns, hard hits, fourth down conversions and more. From a betting standpoint, this game saw lots of bettors see some hefty payouts. Unfortunately the sportsbooks cannot say the same. When it comes to legal sports betting on the Super Bowl, lots of sportsbooks reported major losses due to the Eagles victory. The initial betting line saw the defending champion New England Patriots as the clear favorites with a 5-point spread. The combined point total for the game was 48. Still, many sportsbooks reported more bets coming in for Philadelphia to win than New England. People seemed to believe this was the year of the underdog. Several sportsbooks reported multimillion dollar wagers for the Eagles, which even further offset the variance between Pats and Eagles bets. As such, sportsbooks adjusted the point spread by narrowing it to 4.5 and they dropped the moneyline odds on the Pats to win outright. 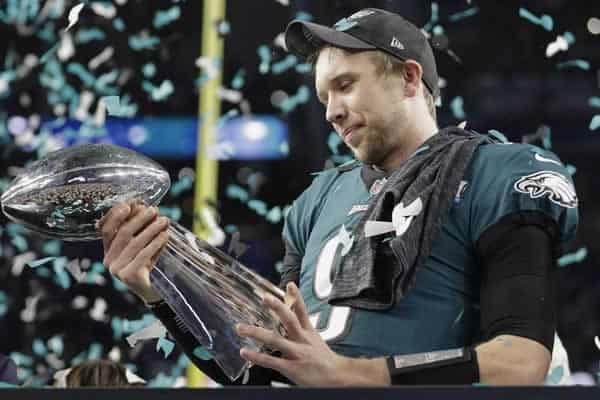 Their hope was to pull in more bets for New England and balance the betting scales, because as things stood, a Philly victory would result in more losses than gains. The prop betting market was extensive for Super Bowl 52. The way the actual game went, most props hit, especially in the player prop category. This game set the record for most combined offensive yards, so most player props regarding yards (Brady hits over 300 passing yards, Jay Ajayi gets over 50 yards, etc.) hit. Treasure Island, a noteworthy sportsbook, reported that they had to give back all their winnings on futures, the moneyline, total and side because of how much they lost on props. By halftime, the prop side of the game was looking pretty grim for sportsbooks. With the total combined score set at 48, anyone who took the over made out well. There was a notable sports prediction interface that simulated the under hitting multiple times, but these 2 teams were scoring left and right in the second half. If you were fortunate enough to bet on alternative point spread that saw the Eagles winning, you likely won a lot of money. William Hill, another well-known brick-and-mortar betting venue, said they had $4.6 million in losses on 3 bets. These bets were each over a million dollars, but that is not a good sign. To add to their woes, the sportsbook reported 54% of the point spread bets were on the Eagles, 75% of all moneyline bets were on Philly and 56% had the over. Based on those numbers, William Hill is looking at quite the expenditure column. Most sportsbooks were hoping for a Patriots victory. In that event, they would be seeing everything they lost added to their bankroll. If you add the total losses from legal online betting sites, the Eagles probably ruined lots of books’ days while simultaneously making lots of bettors’. This is the way sports gambling goes. The Eagles showed that the underdog can prevail and why it is sometimes bettor to take a chance on them.